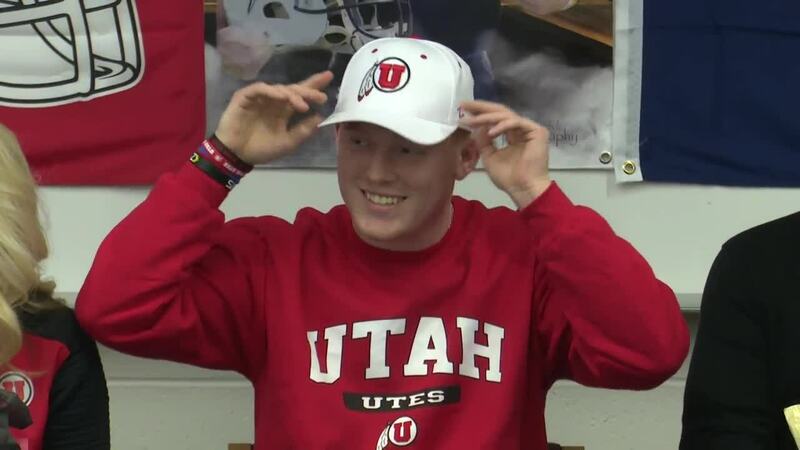 APPLETON, Wis. — Appleton North Lightning quarterback Carter Robinson signed his national letter of intent to play for the University of Utah on Wednesday. "They have sold out games for the past 10 years so I'm looking forward to play in that atmosphere," Robinson said. Robinson built quite a legacy at Appleton North where he currently holds six records including career passing yards, completions and touchdowns. He led North to the Level 4 round of the 2017 WIAA playoffs and now he has a chance to lead the Utah Utes. "I'm heading into the summer season and I'm going to work my tail off, compete and just see where it goes from there," Robinson said. Utah's previous starting quarterback, Jack Tuttle transferred to Indiana in the off-season so the starting role is open. "I've competed with some high level quarterbacks before and this is no different," Robinson said. "I'm going to go in with the same mentality, work hard and hopefully get that starting spot."